The fans were great out there. It's kind of a dream day to be able to play with John Daly and Arnold Palmer. The course was fabulous and I got a chance to bond with everyone. I'm just happy that they invited me. 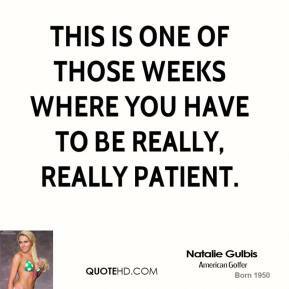 This is one of those weeks where you have to be really, really patient. I had a really good group with Beth Daniel and Grace Park. She really just does not make a lot of mistakes. She really wears people down with her consistency. It's just frustrating, but what can you do? ... I'm still in a good spot. Take the day off and start over tomorrow. My caddie and I thought 8 under would win this, ... I thought pretty much anything under par would be a really good round. 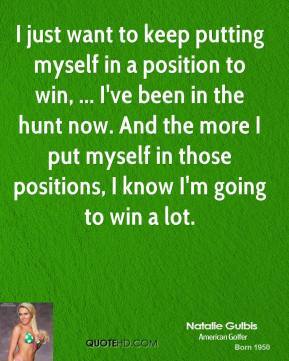 I just want to keep putting myself in a position to win, ... I've been in the hunt now. And the more I put myself in those positions, I know I'm going to win a lot. Definitely the way you want to finish the round. I actually struck the ball well all day. 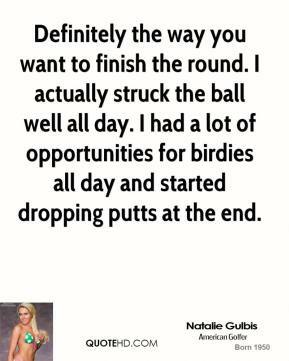 I had a lot of opportunities for birdies all day and started dropping putts at the end. 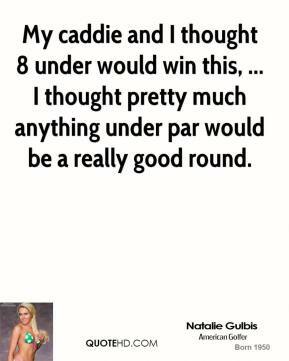 Before she even teed it up, they were talking about the LPGA in every major publication across the country, ... 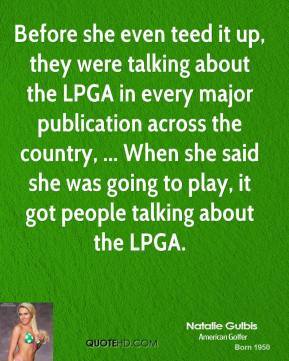 When she said she was going to play, it got people talking about the LPGA. I think it hangs over your head every week from when I was 10 or 11 years old and trying to win tournaments. Every single week I try and go out and win tournaments. You just have to keep putting yourself in position. I did that quite a bit last year. I kept putting myself in position and I think I've done that this week, so I look forward to tomorrow. I'm doing good, knock on wood. And my hips aren't tight anymore.